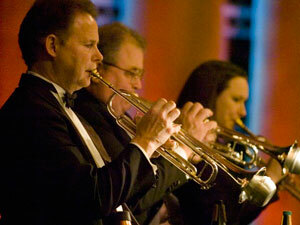 Camellia Symphony Orchestra will be at The Performing Arts Center of City College. Photo courtesy of Steve Kolb. Students, families and community members who enjoy live music and a fun time are in for a treat. On Sept. 16, the Camellia Symphony Orchestra will host a free family concert event from 2-3 p.m. at City College’s Performing Arts Center. The event is open to anyone in the Sacramento region. In addition to the concert, there will be an Instrument Petting Zoo at 1 p.m., which will allow children to go hands-on with the music makers. A Fun Shop Art Station, where kids can create their very own work of art, will be presented by the Very Special Arts organization. The concert series, which the Camellia Symphony Orchestra says has been going on for over 10 years, is sponsored by The Sacramento Bee, Wells Fargo, Clarksburg Wine Company, the Sacramento Metropolitan Arts Commission, and Cyberguys. More information is available at www.camelliasymphony.org or by calling (916) 929-6655. This entry was posted in News, Sac City Express (SCC) and tagged art, Camellia, City College, events, Free concert, instruments, kids, music, pac, Performing Arts Center, sacramento, Symphony. Bookmark the permalink.